Waiting for early application decisions can be nerve-racking. And if you’ve applied to several schools early, you may be having trouble keeping up with all of the early notification dates. Here’s a list of some commonly applied to schools and their expected notification dates to help you get organized! Many of you who've applied to schools with early deadlines of 11/1 and 11/15 are hearing back this week. If you've been accepted, congratulations! You're about to begin the most relaxing nine months of your lives. For those of you who are denied entry to your top choice - don't fret. There are many, many fish in the sea, and though it may seem that your top choice is all there is, once you find the school that's right for you, you'll wonder why you were every interested in anyplace else. Now's the time to get started on the rest of your writing if you haven't already, and to get organized with the Essay RoadMap to minimize the amount of work that's required of you. As always, let us know if you need help getting started! That's what we're here for. Harvard reinstated its early admission program this year. As many of you know, the early admission deadlines for schools recently passed. For those of you anxiously waiting till December 15th when most results are posted, you can check out this chart of early admission application counts for top schools as well as last year’s early admission rates, published by The New York Times Choice Blog. You may notice a decrease in a few of the most selective schools due to this year's reinstatement of Early Admission programs at Harvard and Princeton. Due to the recent snowstorm on the east coast and the unexpected power outages that came along with it, a large number of schools with November 1 early action and early decision deadlines have decided to extend their deadlines. Thankfully, our friends at the National Association for College Admission Counseling have compiled a handy list to help you out. So if you have been without power for the past few days, as I know many in New Jersey and Connecticut have been, you've got time to get your app in. And if you've just changed your mind and really do want to send out that early app you've been procrastinating on, well, you got another chance to submit. Now that you're wrapping up your early decision and early action applications, it's time to turn to the rest of the applications on your pile. Regular decision applications make up the bulk of the work required of most applicants, and in some cases can mean ten or more additional essays, not to mention the supplemental applications themselves. The last thing you want to do is to wait until you hear back from your early application schools in mid-December to begin the rest of your work. If, unfortunately, you are denied acceptance to your top-choice schools, you'll have a substantial numer of essays and application forms to finish in only a few weeks - weeks that happen to span the Christmas and New Year's holidays. Try to finish about 75 percent of your essays before you hear from your top-choice schools, so you're in good shape to complete your regular applications quickly and with far less stress. As always, College Essay Organizer can help you simplify and optimize the work you need to do for all your applications. Just head over to your Essay RoadMap preview and see how many essays your schools require, and how College Essay Organizer can help you make your workload much more manageable. One benefit of using College Essay Organizer is our inclusion of what we call "Bio Data," or the most important information about applying to a given school. Any time you look at your Essay RoadMap or Essay QuickFinder, you'll see a small block of text along with the name of the school that provides the application deadline, academic achievements of the accepted student body, SAT and ACT ranges, and the school's website. Just like with essay requirements, this information can be surprisingly difficult to find or confirm with school officials, so we do a lot of leg work on our end to check and re-check this information before presenting it to our users. A good example of why that is came up this week while researching the University of North Carolina-Chapel Hill. UNC is obviously a large and prestigious public institution, and as a result gets a lot of traffic on College Essay Organizer. The state of North Carolina maintains a site called the College Foundation of North Carolina, dedicated to helping students from that state find the right education for them - but when we looked on that site, we saw that there was a discrepancy in the application deadline. I think we can all agree that's a fairly important piece of data. After some more research on our end, we found that the deadline for Early Action to UNC-Chapel Hill is indeed 10/15, not 11/1 as the College Foundation site claims. And this is an official site put together by the state! Add to this the piles of misinformation in books published every year about the admissions process, and on the College Board and Common App, and it quickly becomes clear that it is not always as easy as it might seem to dig up this information. You can do this tedious, time-consuming work on your own - or have College Essay Organizer do it for you instantly. November 1 comes quickly, little crimsonites. 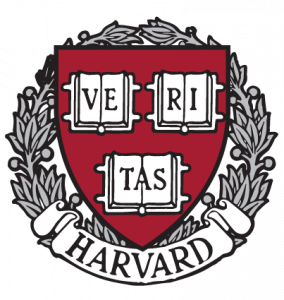 In 2007, Harvard eliminated its Early Action program and required that everyone send in applications on the same date, January 1st, but this year, it returns to Early Action, with the first round of applications due on November 1, 2011. The move in 2007 was seen as a reaction against the increasingly competitive admissions environment in America, and many applauded the effort. But other popular schools took this as a competitive advantage and did not follow suit, so Harvard has done its applicants a favor by sparing them the difficult choice of a binding decision from another school when they'd really like to take a shot at Harvard. Early Action and Early Decision programs certainly increase the pressure on students and parents alike - decisions are often made with a limited amount of information and on very short timetables, but they have their upsides for schools, allowing them to increase yields and fill large portions of their classes with students that are sure to attend. This decision - coming from the top, as it were - should be read as a firm statement that Early Action and Early Decsion programs are here to stay. Get your work done as early as you can, do your homework, and learn as much as you can about your top choices before committing to your number one school. Don't Rely on Early Decision. Plan Your Other Essays Now! Many of you early applicants will be hearing back from your top choices this week, and just in case you find that thin envelope, CEO is extending a new offer to help you get the rest of your applications in order quickly. accounts for individuals during the month of December! Simply enter the promo code senior9 when you purchase your account. There’s going to be a lot to do – probably somewhere between six and ten applications in two weeks’ or a month’s time. So before you begin, list all of your work and make sure you have a single source to work from, instead of ten different applications in a pile. Handling such a workload is all about managing your time appropriately. Your first choice is gone. Let it go. But the good news is that there are other options out there that are actually very similar to your top choice in many important ways. In many respects, you’ll even find that they’re better. So do your research if you haven’t already, and find out what else is out there. If you were aiming for Amherst, consider Williams and Brown. If you were aiming for Chapel Hill, think of Ann Arbor and Berkeley. Any one of these places might surprise you if you look a bit further into their many nooks and crannies. You’ve got a lot of prompts, but remember that those essays can be handled with fewer essays than you think. After you’ve itemized your workload, consolidate it. Find an efficient way to get things under control, and you may be surprised at how quickly and accurately you can knock these essays out without over-exerting yourself or spreading your interests too thin. That's where CEO comes in! We'll make sure to save you time and stress, enabling you to focus on writing your best quality essays instead of spreading yourself too thin. Good luck moving forward! Posted in In Action | Comments Off on Don't Rely on Early Decision. Plan Your Other Essays Now!